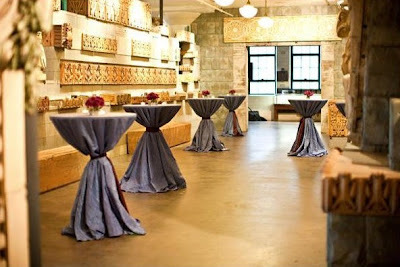 This wedding had more than just venues and seasons to consider with it’s design. 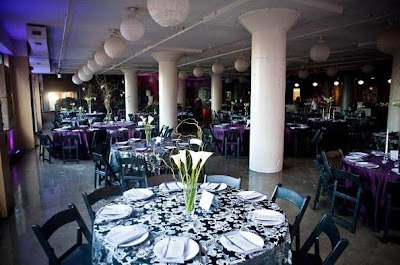 The celebration of Jen and Jon’s Halloween nuptials was the seamless collaboration of very different elements to result in one amazing event, all coordinated by Lacy Branch Events. 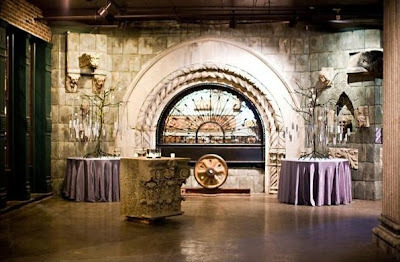 The bride wanted the reception to reflect the special “holiday” without being too over the top. 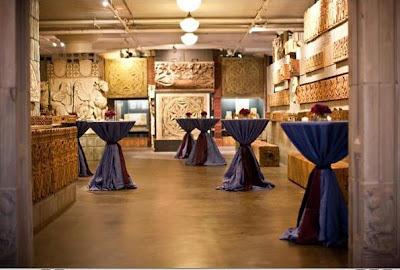 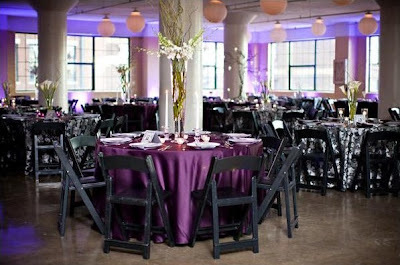 Purples, whites, and black were the colors chosen to make this event very chic and interesting. 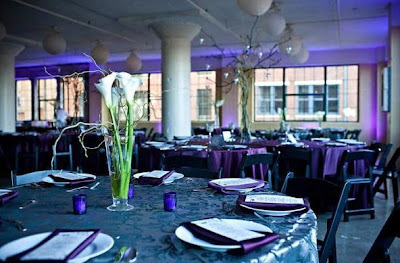 Special thanks to Von Devore for these awesome shots of our flowers in the Architectural Hall at the City Museum. 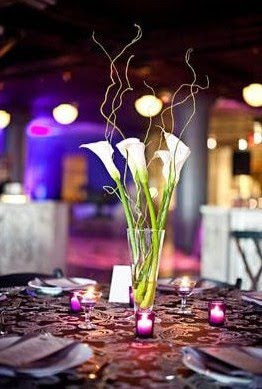 Some of the tables had this pilsner vase of white callas and curly willow. 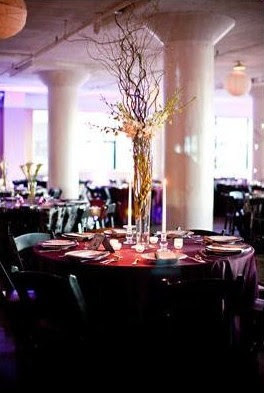 The second table design has a taller pilsner vase filled with curly willow and white dendrobium orchids at the base. 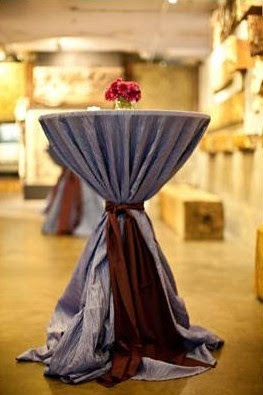 The third guest table arrangements were “cluster” tables with our 6ft. 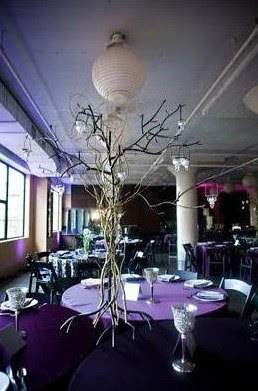 metal trees standing tall. 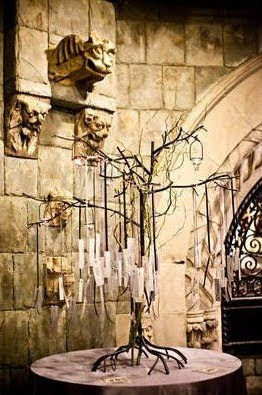 The trees were decorated with hanging votives and curly willow branches. 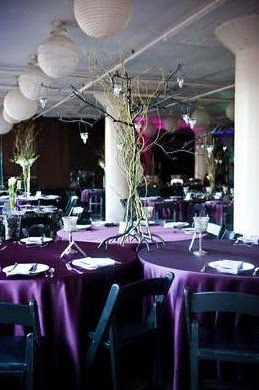 Our metal trees were also used in the entry of the reception as placecard holders. 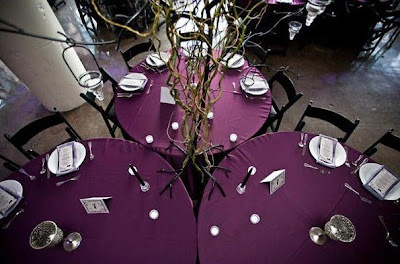 The guests’ names and table numbers were hung on little cards from the branches of the tree. 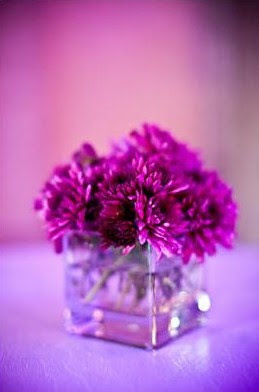 The cocktail tables were decorated with little cube vases of purple mums. 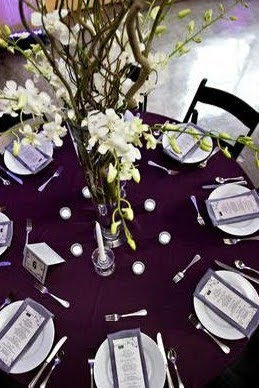 The following are a few snapshots of the personal flowers and ceremony decor. 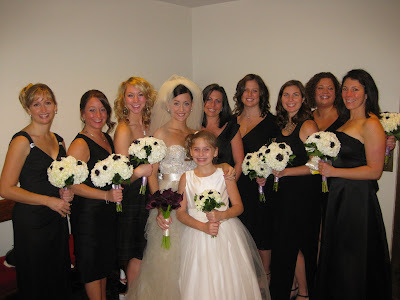 The bridesmaids’ bouquets were lush white hydrangea with dark purple scabiosa. 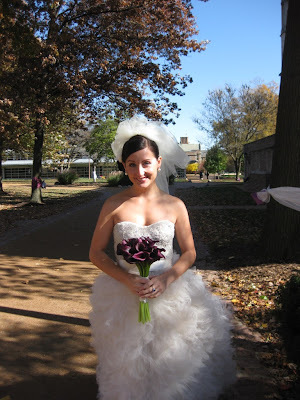 The bride carried all dark purple mini callas. 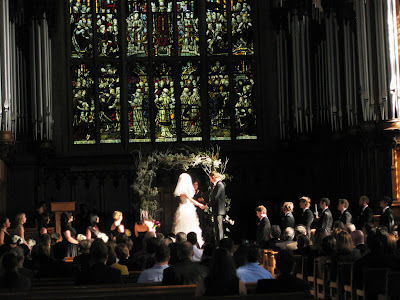 We covered our wooden canopy frame with curly willow branches and white fillers for the ceremony at Graham Chapel. 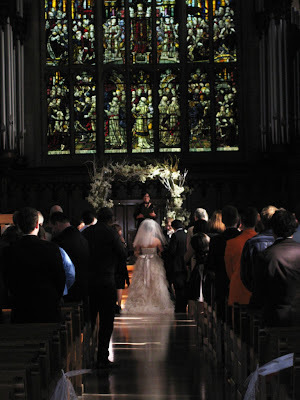 The end result was a gorgeous frame for the bride and groom!